I’m going to make an exception here and put in a recipe from a package of dried navy beans, modified only by the addition of a smoked ham hock. 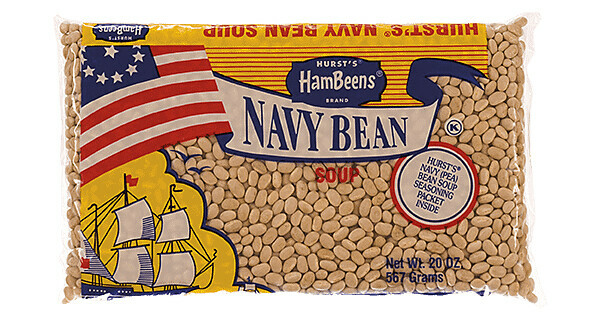 I love this particular navy bean soup, and if you haven’t tried it, you should. 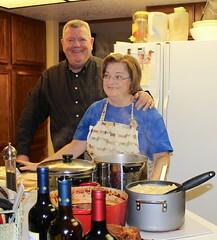 Place washed beans in pot w/8 cups water and the ham hock, boil covered 50-60 minutes. Chop vegetables & cube ham. Add vegetables, ham, milk, flavor packet to beans. Simmer 45 minutes. 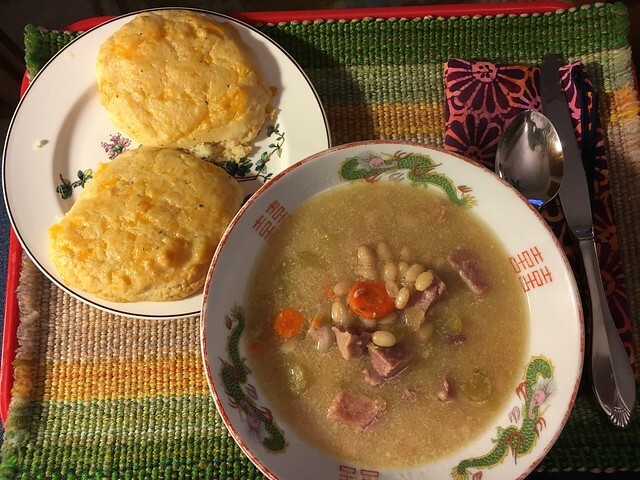 It’s really good with biscuits. © 2017, Crouton deMenthe. All rights reserved.